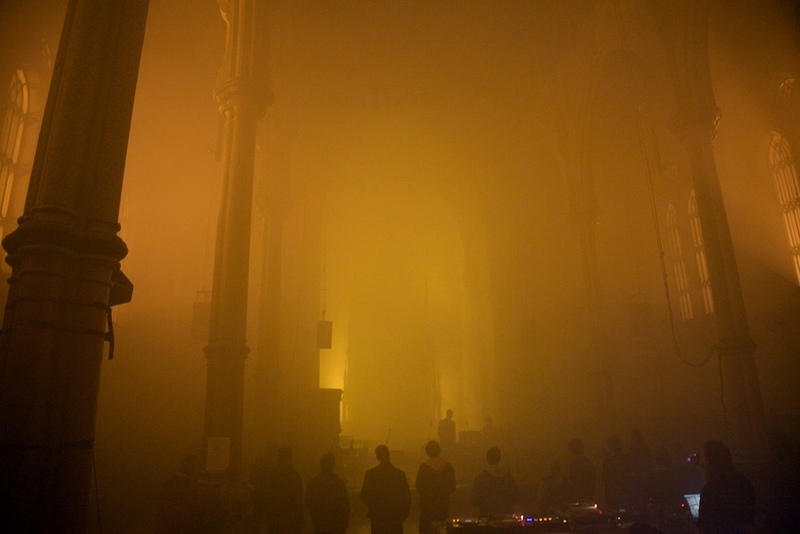 From a Dausteg-curated concert night in Jakobskirken, Oslo, as part of the Ultima Festival, in 2009. Dausteg is Tony F. Wilson and Are Mokkelbost. The Dausteg ethos is active listening by mixing and comparing music from across the genre spectrum. In an attempt to blur those often arbitrary dividing lines between the musical output of past and present time, they look for the common ground beyond, making sonic connections and seamless transitions between contrasting musics. The nights are recorded straight from the mixer, with little or no post editing. For those interested we´ve gone through the painstaking forensic process of writing down the playlists after-the-fact, and they can be downloaded as pdf´s. After a long hiatus we got together to do a night at Khartoum Contemporary Arts Centre in Oslo. We decided to strip it down to single tracks and quick transitions, playing skeletal beats of various kinds, with a penchant for grime, dance hall, early dubstep and fringe trap. And some early musique concrete, as in the intro! Set from Lofoten International Art Festival (LIAF), 2011, in surreal surroundings. We played in a laavo (Saami tipi) on the waterfront in Kabelvåg, in the midnight sun, accompanied by whale meat BBQ and sauna. Get the playlist HERE. Excerpt from set at Børre Sæthre´s installation in Galleri Nord Norge, at Festpillene in Harstad in 2010. The combination of the location above the Arctic Circle and the science fiction themes of Sæthre´s installations led us to John Carpenters film The Thing, using the soundtrack and the film´s mood as a starting point. Set from a wonderful Skaņu Mežs night in Riga, Latvia, in 2010, mixing electronic music with animal sounds. Get the playlist HERE (pdf). A looong mix we did a the Villa Club in Oslo in 2008. Download the playlist HERE (pdf). We played this set after a Kevin Drumm concert at the Oslo venue Blå, mixing music with a common fixation on the low end spectrum of sound, be it gutteral vocals, downtuned guitars or sub bass synths. And as always, sprinkled with tunes we just like, regardless of topic. Get the playlist here. 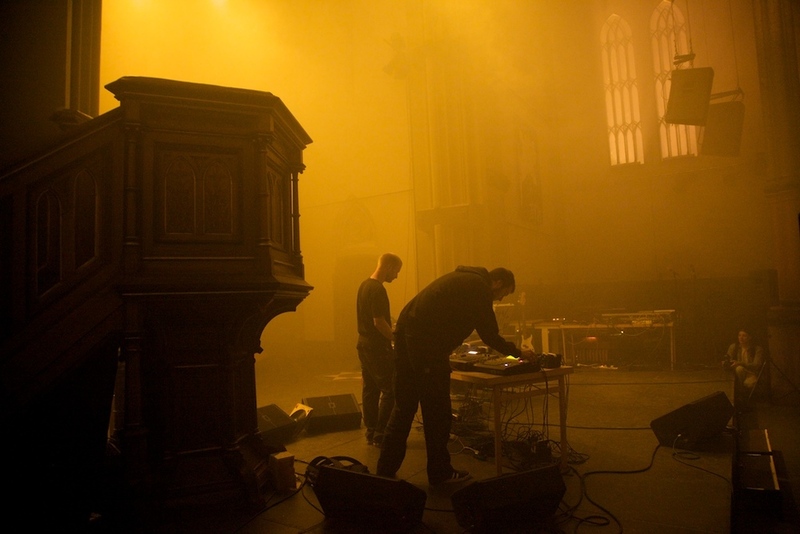 in 2009 the Ultima Festival invited us to curate a concert night in Jakobskirken in Oslo. 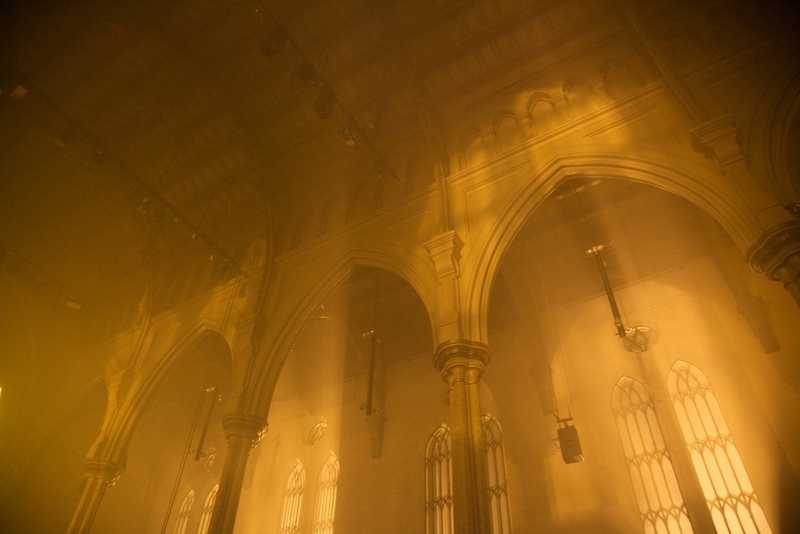 We picked three acts on the theme of "bedroom composers" and "the church as a reverb unit". We got Tri-Function Million, a Norwegian hip hop act with roots in the noise and black metal scene, to do their first live performance. Mick Barr came over from New York to perform a 40 minute written guitar solo piece. Mount Kimbie, a British electronic duo, brought along a then unknown James Blake and performed a mixed set of their songs. We played music between the shows and ended it all with a club night in the church, masterfully lit by light designer Kyrre Heldal Karlsen. As an intro to the club night I played the MIDI church organ with my sequencer, with Tony on the decks - documented by two random audience members, seen in the videos below. We made a two-sided poster for the night (above), that can be purchased in the store. Photos below by Halvor Bodin. Two random video accounts of the night by Tommy Høvik and Jan Martin Eiklo.